School was closed on Monday. Same for Tuesday. And again tomorrow. Why? Because our students are worth more than what they’re getting from the state legislators of Oklahoma, writes teacher Amy Presley. Many schools will remain closed for a second day in Oklahoma Tuesday as teachers rally for higher pay and education funding in a rebellion that has hit several Republican-led states across the country. 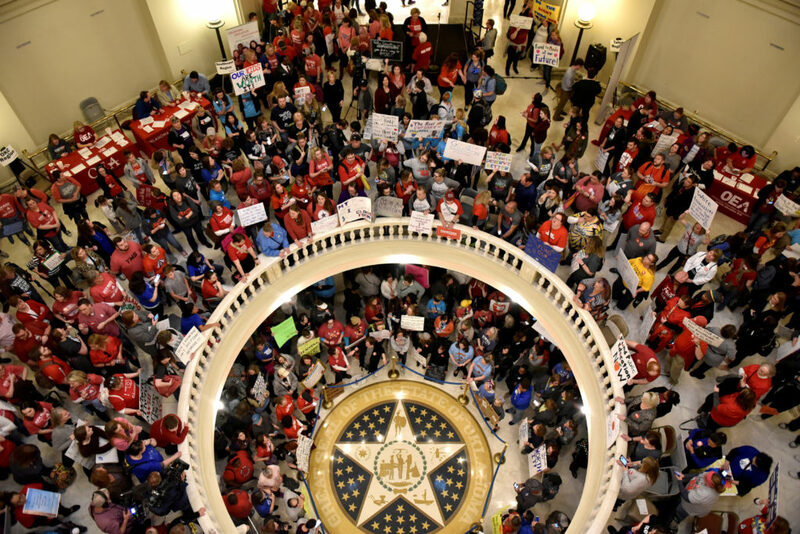 Oklahoma legislators passed a tax increase for the first time since 1990 on Wednesday, which gave teachers a pay raise in hopes of averting a walkout. Teachers say they still plan to walk out of school on April 2.